I thought I knew a lot of things before I went to Cuba. I knew that the US trade embargo over 50 years ago left the streets looking like 1962. 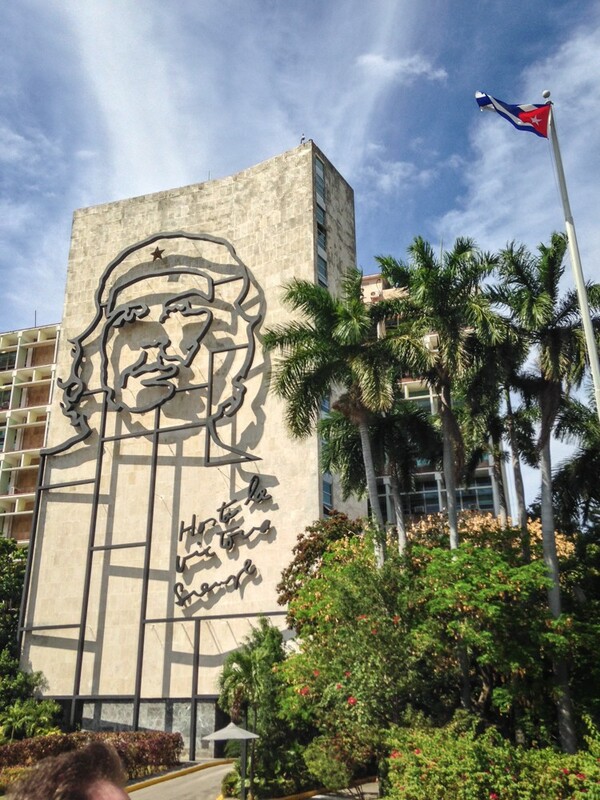 I knew (a little) about socialism, the revolution, Fidel Castro and Che Guevara. I knew the Malecón waterfront was gorgeous. I knew the architecture was beautiful. I knew the buildings were pastel coloured. I knew that most people had to fix their cars themselves. And all those things were true. Plus there were some really great things I was told, like how incredible the beaches and snorkelling are if you can get out on the water, and that the town of Trinidad is worth a visit. 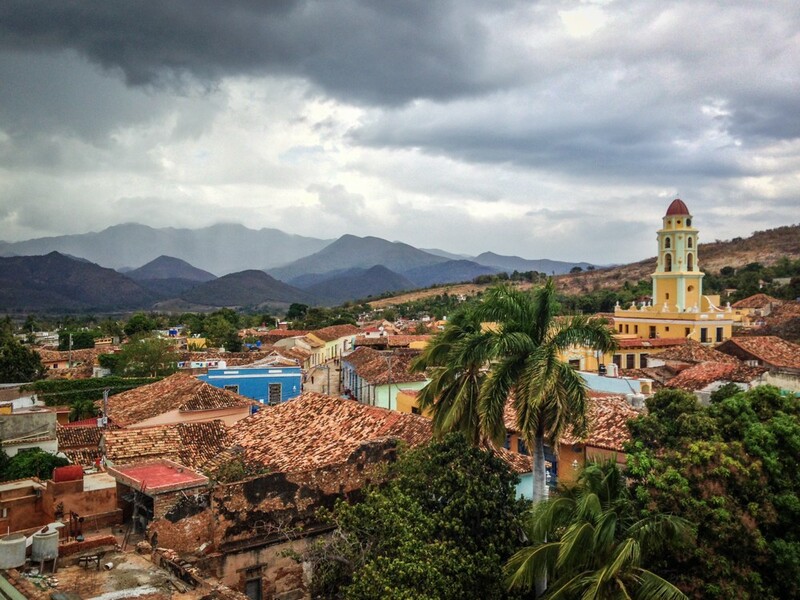 Trinidad, with the Escambray Mountains behind it. (This was shot from the rooftop lookout at the Palacio Cantero). But there were a lot of things I wasn’t told or didn’t really grasp until I arrived. 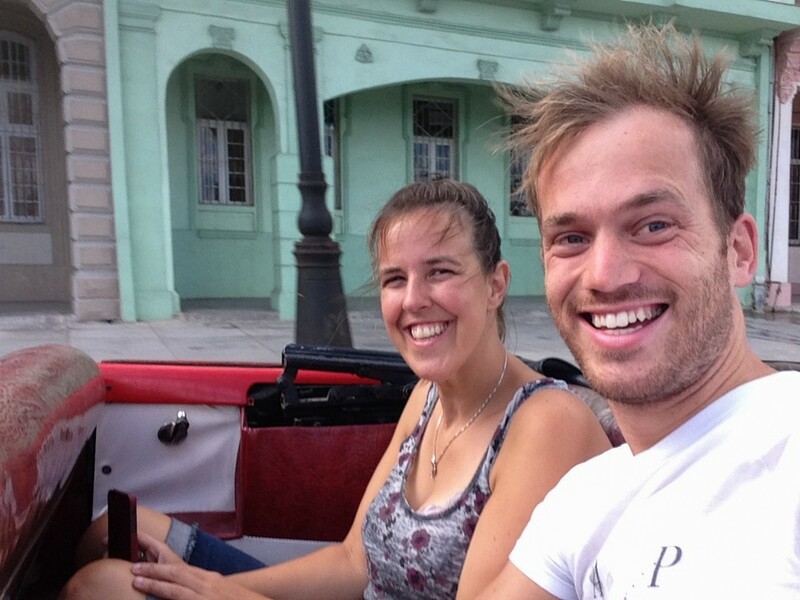 So, here’s my list of things I wish I’d been told before I went to Cuba. 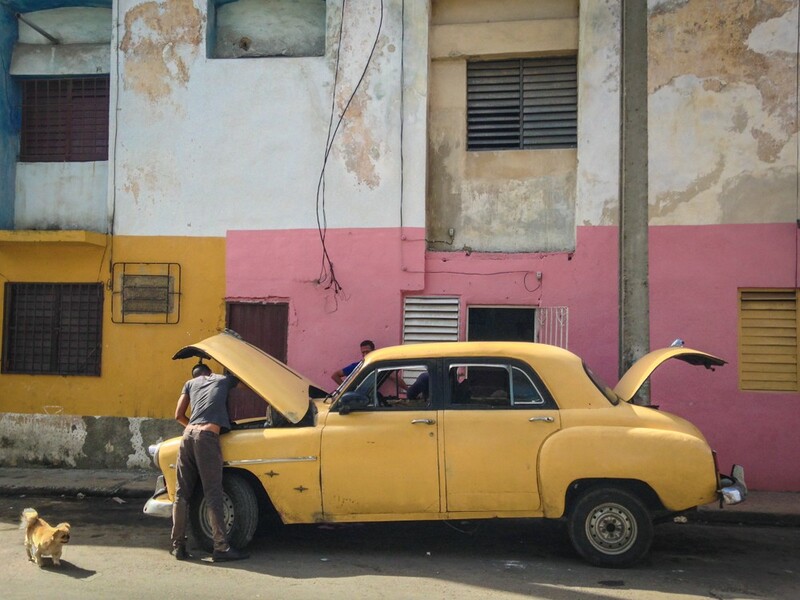 There are two ways of doing everything in Cuba, and it’s not always clear. For example, when you walk into a money changer there are often two queues – one for cash and one for credit cards. But without a sign you can’t work out which is which, so usually you get to the front of the queue only to be sent somewhere else, and this can repeat four or five times. 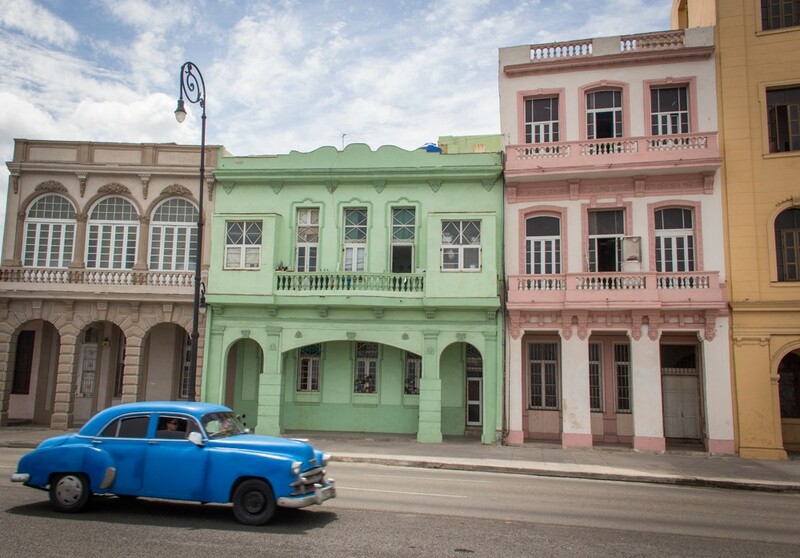 Cuba is cheap for Cubans. An ice cream is US$0.04, a whole pizza US$0.40. 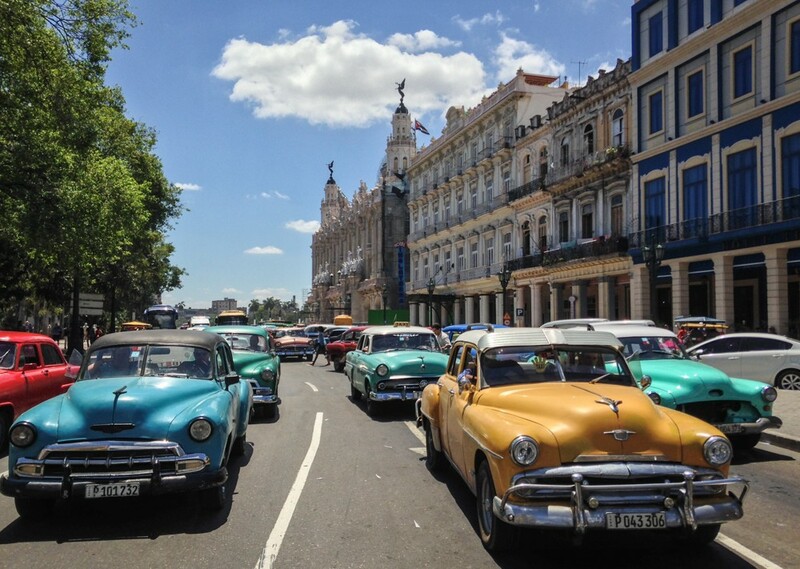 But Cuba operates on two currencies, the national money (CUPs/moneda nacionale) and a tourist currency (CUCs). The CUC is matched with the US dollar, and even if you try to get off the beaten track, non-locals are still charged in CUCs 95% of the time. 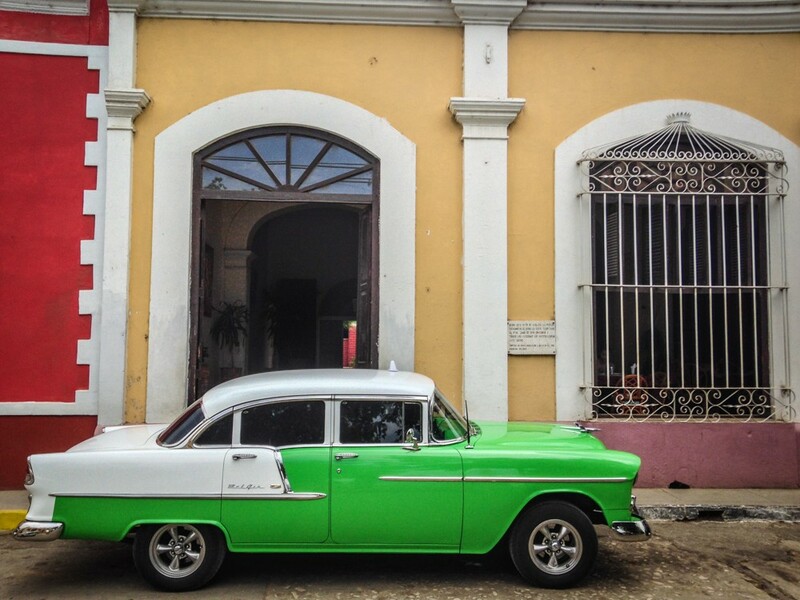 Paying in CUCs makes Cuba more expensive than America for most things. Most toilets, even in the airport, don’t have toilet paper. Bring your own – and remember not to flush it down and clog the pipes. Use the little bin. Also check for a flush mechanism to avoid embarrassment when you have a sore tummy and you’re unable to dispose of your (violent) waste without an old lady with a bucket coming in and taking a look (hopefully she was breathing through her mouth). Yes, I tipped her an exorbitant amount. After a storm, the road from Havana to Trinidad resembles a post-apocalyptic nightmare. Thousands upon thousands of crabs, big ones, crossing the road for some unknown reason. Our taxi driver tried his best to avoid them. Driving slowly, swerving etc. And most of the crabs would leap out of the way, shaking their claws at the car like a New York pedestrian. 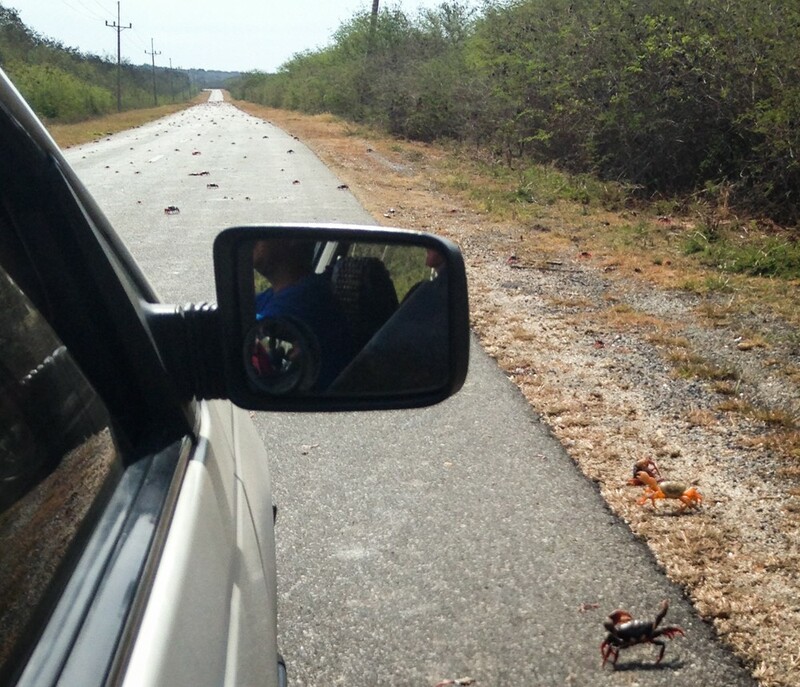 But some of the crabs would leap the other way – from safety into the path of the car. That crunching sound still makes me wince. On the other hand, the vultures appeared to be having a great day. The food in Cuba is quite something. My first experience was a plane meal that I think was a hamburger. I can’t tell you what kind of meat it was, but it had the texture of a boiled jandal and the taste of socks. And on our last night, we decided to pay a little extra to sit in a nice courtyard and eat a more reliable meal. It cost $10 and tasted worse than the one we paid $3.85 for. It was meant to be chicken but who knows what it actually was. 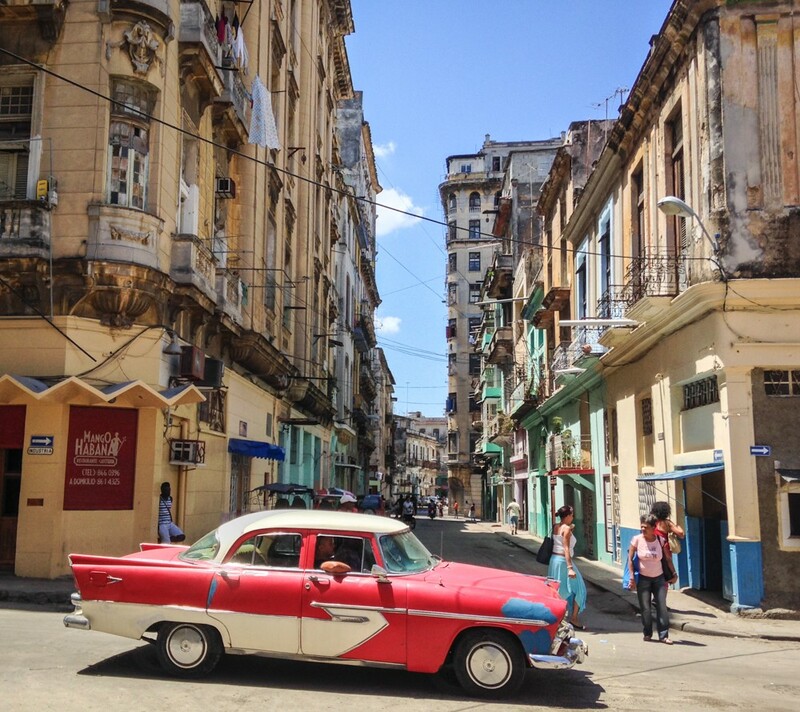 Moral of the story: Cuba is not a culinary hotspot. If you find a place with decent food, keep going there. 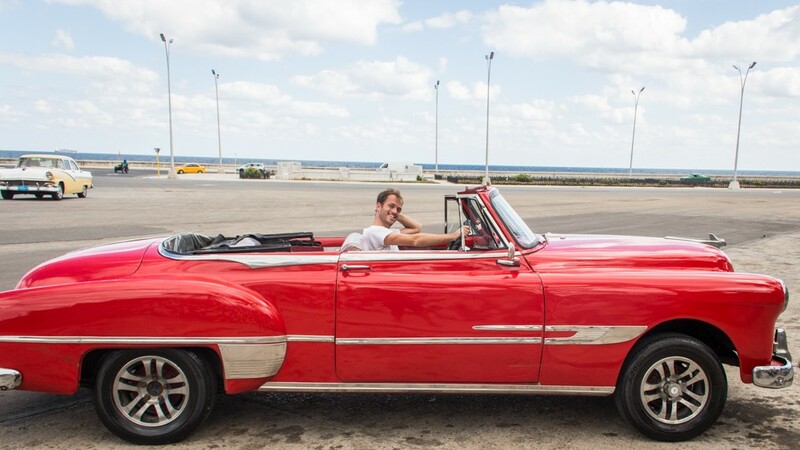 My single ambition for Cuba was to drive a classic car. And, I did! Sort of. I discovered that it’s illegal for tourists to actually drive the classic cars – so I had to settle for a photo in the driver’s seat. But that still took a lot of negotiating and it’s the closest I’ll ever get – so I consider it a win! My travel buddy Chris, and I, in the passenger seat. 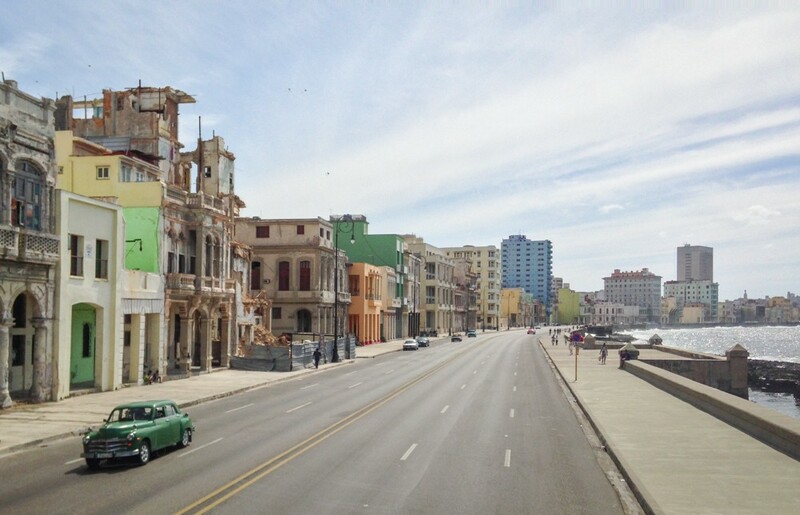 In Cuba, the government controls everything. The hotels, the shops, the taxis, the cola manufacturer, everything. Which means that nearly everyone you talk to is a government employee, and nearly everything you do is as frustrating as dealing with the IRD. I went to a post office that told me they couldn’t post letters today. I went to a supermarket that closed two hours early while employees inside fanned themselves. I went to a telecommunications office where the security guard told me they didn’t have the internet, though I could see people browsing Facebook on kiosks behind him. At the airport, the information desk gave me patently wrong instructions for where to find the money changer. When my taxi driver dropped me at the wrong hotel, the staff swore that I was in the correct hotel, I just didn’t have a booking and they’d never heard of G Adventures. They never mentioned that people always seem to confuse their hotel with the one next door, and this had already happened several times that day to people in my group. What it boils down to is that service people have no incentive to go the extra mile. In most countries they want your money and will bend over backwards to get it. But in Cuba, sometimes you feel like they’re doing everything they can to prevent you from being able to spend money there. Get cash out earlier than you need it, because the ATMs can run out for days at a time – especially on the weekend. If you see a cool street, go down it. If you see that a museum is open, go right away. It’s harder than it sounds to get reliable information about opening hours or when something (e.g. an ATM getting more money) will occur, so avoid being reliant if at all possible. My last lunch in Havana was $5.90, plus a $1.50 drink. That’s a total of $7.40, but my waiter mysteriously reached a total of $8.30. I’d say that the service people in Cuba have very poor maths, but it never seems to go the other way. I was also charged $2 for something that was $0.50 in the menu, and the waiter didn’t seem to think there was anything wrong with this when I showed him. Also be aware that it’s not uncommon for 90% of a menu to be unavailable. This would be workable except you won’t be informed until you try to order, and then after the third or fourth failed order you ask “what is available” only to learn there’s literally a single dish. 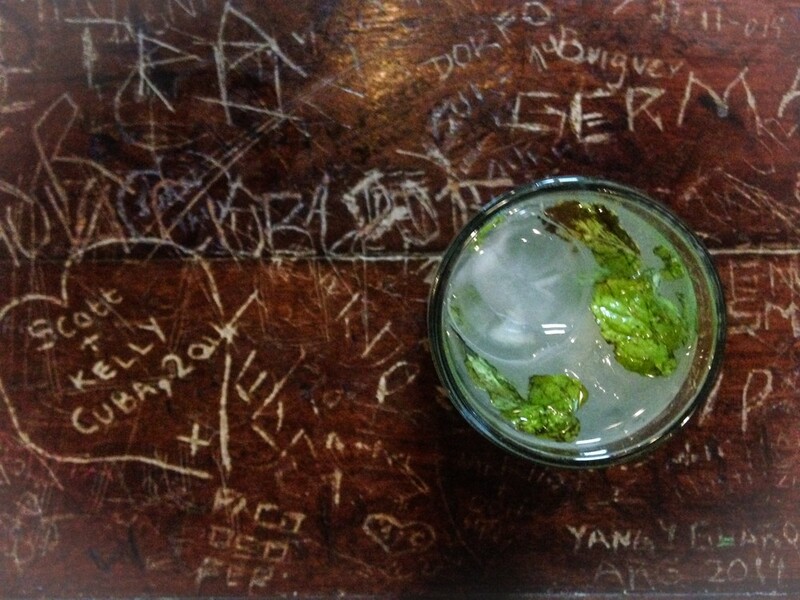 I was really excited to visit Bodeguita del Medio, the place that invented the mojito. But sadly it’s turned into a tourist trap. For more than 3x the price of a mojito anywhere else, I was expecting a life-changing experience. But it was no different. A small glass, a bright straw, a pre-mixed drink poured from a bottle, ordinary table sugar that maintained its crunch. Anywhere else, I’d have just chalked it up to a bad mojito. But at the place that invented them, that was particularly disappointing. But just promise me one thing. Don’t let anything I’ve said here put you off. 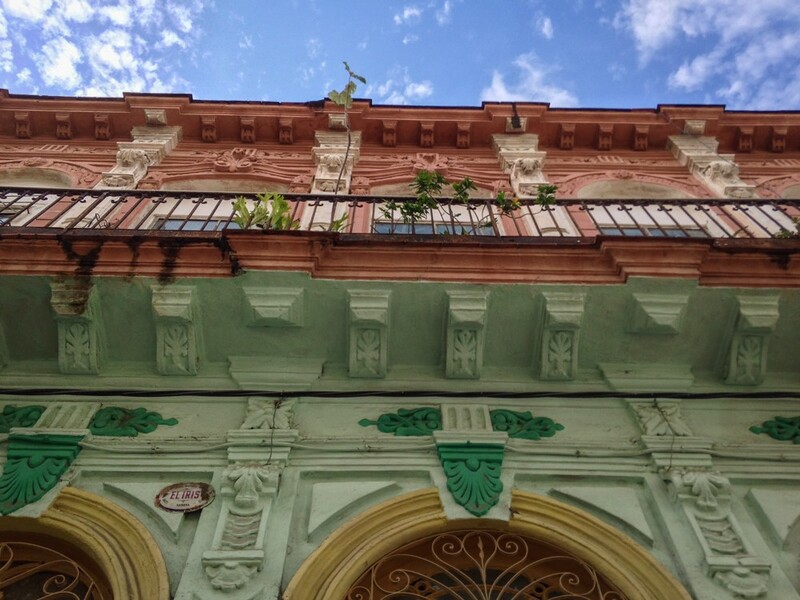 Cuba is hard, and getting anything done can be a challenge… but there’s something magical about this place that shines through all the bureaucracy and difficulty.